The E10P has room to spare when it comes to packing for a day trip. Five liters of storage capacity is large enough to swallow snacks, a toll pass and some shades. Integrated into the top cover lies a touch-screen friendly smartphone holster for keeping yourself on track with navigation. 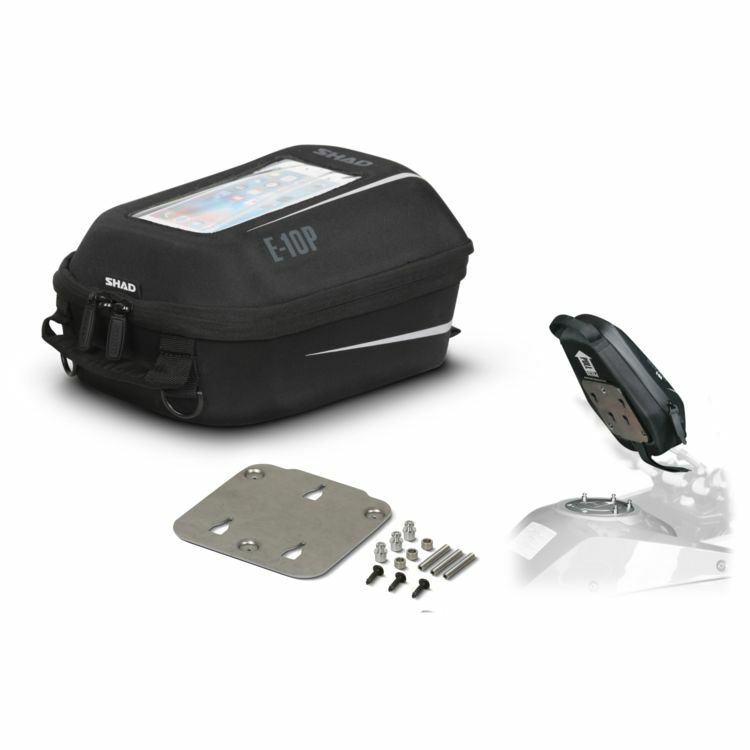 It is designed to work exclusively with Shad's bike-specific PIN tank bag system for easy-on, easy-off attachment.